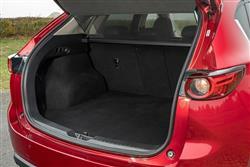 Mazda's CX-5 isn't your typical compact SUV. June Neary puts the second generation version through its paces. Big bumpers, bulging wheelarches and ferocious looking grilles were a big part of what fired 4x4 vehicles to mainstream popularity. They were a bolder choice than a conventional car with extra attitude and a youthful image that had a powerful appeal for a lot of people, even if off-road driving wasn't on their agenda. 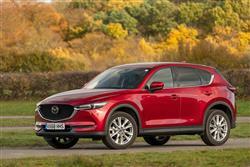 Today, SUVs have become a lot more circumspect in the way they look and the secomd generation version of Mazda's CX-5 is a perfect example. In these more environmentally enlightened times, maintaining a lower profile is a more attractive option and 'car-like' is a quality that's increasingly highly prised. Few SUVs do car-like more effectively than this CX-5. 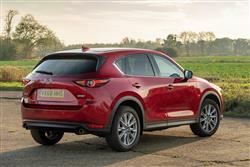 The CX-5 will net some sales purely on the basis of the way it looks. This MK2 model takes its cues from the 'RX Vision' concept car the brand displayed at the 2015 Tokyo Motor Show and swaps the previous soft and curvy look for an altogether sharper and more mature design. This is exactly what many prospective buyers will want. The smarter exterior looks see this car get a sleeker profile and a lower roofline to underscore its solid stance and elegant proportions. Under the skin, a fully-revised body structure that's been created under the concept of what Mazda calls 'Refined Toughness'. Take a seat at the wheel and you're treated to a master class in how it's possible to completely change the look and feel of this part of the cabin without altering any of its essential dimensions or hard points. Two things are primarily responsible for this and the first change is predictable given the fact that interior quality was one of the original CX-5 model's biggest flaws. 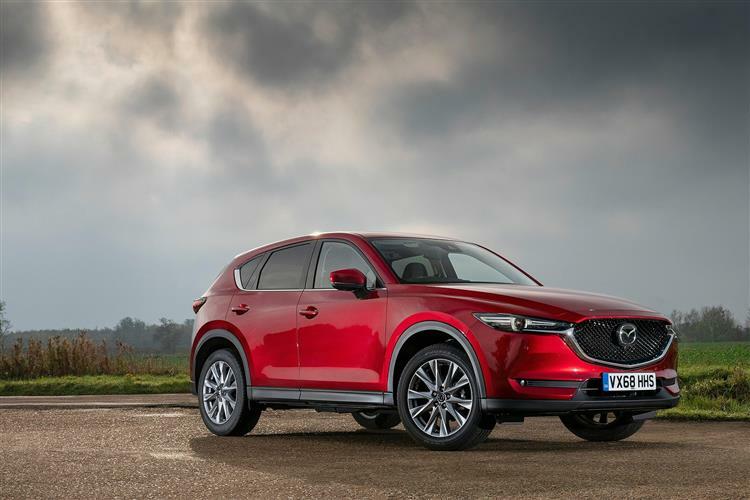 This time round, it's a very different story, with an up-market feel that's clearly been inspired by the German brands that Mazda wants to emulate. 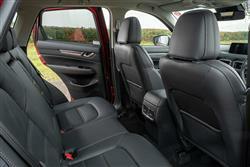 When I took a seat in the rear, I realised that not all mid-sized SUVs are the same. 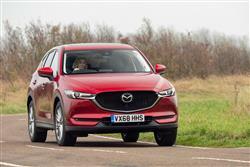 Whereas in a rival Qashqai or an Ateca (or even a slightly bigger competitor like Ford's Kuga), a couple of adults might struggle a little for comfort on a longer trip, in the back of a CX-5, you feel like you're in an environment that hasn't solely been designed around the needs of children. You can stretch out a little, with proper space for your head, leg and shoulders on the more supportive rear bench. There's a decently-sized 506-litre boot too. A 2.0-litre petrol engine's offered, but it's the 2.2-litre SKYACTIV-D diesel that buyers tend to want, offered with either 150 or 184PS. With either diesel, you get a choice of front wheel drive or AWD and the option of auto transmission if you want it. The volume 150PS 'SKYACTIV-D' unit manages 56.5mpg and 132g/km of CO2 in front-driven, manual form. 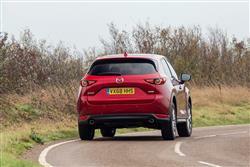 As for the dynamic improvements made this time round, well the body's 15% more rigid and Mazda's clever 'G-Vectoring Control' system has been adopting to improve cornering traction. 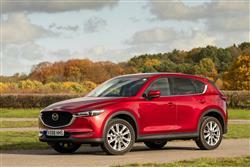 The CX-5 gives only the merest nod to the concept of off-road ability, preferring instead to concentrate its efforts on the tarmac ride and handling that owners will experience day to day. 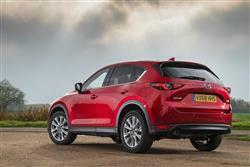 As I said, there's four-wheel-drive, Mazda's Active Torque-Split system, but the CX-5 is no mud-plugger. Its low ride height and lack of body protection see to that. What you do get is enhanced grip and ability in slippery conditions as the 4x4 system automatically distributes torque to the axle that can best use it. There's also fully-independent suspension to bring added finesse to the drive. 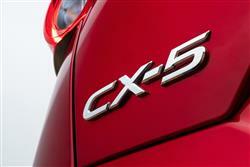 CX-5 customers have always received a lot of equipment for their money and nothing is set to change in that regard. Even base 'SE-L Nav' trim comes with 17-inch alloy wheels, LED headlights that include LED daytime running lamps and fog lights, auto headlamps and wipers and heated power-folding mirrors, plus rear privacy glass, front and rear parking sensors and the brand's sophisticated 'GVC' 'G-Vectoring Control' system for extra traction through the turns. Inside, the primary feature is a standard 7-inch centre-dash 'MZD-Connect' colour touchscreen incorporating satellite navigation, integrated Bluetooth, a 6-speaker DAB audio system and app integration for internet radio, Facebook and Twitter, plus you get the usual USB and iPod ports. Other interior features include dual-zone climate control, leather for the gearknob and the multi-function steering wheel, an auto-dimming rear view mirror and a 40-20-40 split rear seat backrest for the reclinable rear seat.